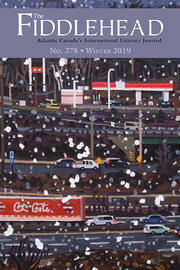 On Dec. 17th, odd sundays will offer an opportunity for you to read your favourite seasonal celebratory works. 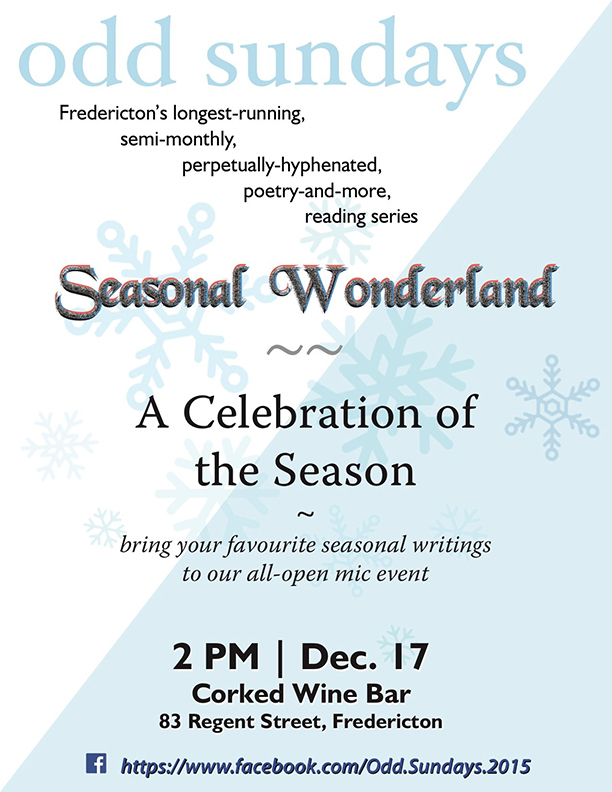 The final odd sundays of 2017 takes place at Corked Wine Bar, 83 Regent St. at 2 PM; arrive from 1:30 onward to get a book draw ticket and add your name to our special open mic list. We have asked a couple of our special guests from over the years to begin the festivities and give us all some motivation. Don't be mislead about the celebration concept. Your poem or prose about this time of year will be a reflection of your experience or history of the season. You might choose the brilliant daytime or early onset darkness, or something about snow — how you love it, or hate it. Many people love this time of year; lots of people don't. And of course there are a number of social festivals to mark the occasion. Let your imagination guide you. The "all-open-mic" set will stick to the usual three-minute limit. But since we're offering this special opportunity for all to wax poetic about this time of year, our tolerance level will be loosened a bit.